I have fallen in love with island life – Weizhou Island life to be precise. It is a tiny, even humbwle, destination, certainly when compared to its larger and – as we’ve been learning – considerably more expensive neighbor Hainan Island. There are no big hotels and no luxury restaurants. But if you want to forget city life for a while, and try your hand at back-to-nature pursuits such as fishing, it makes for the trip of a lifetime. By leaving city life behind, I mean there is no Internet connection, no high-rise buildings, and no KFC outlets. 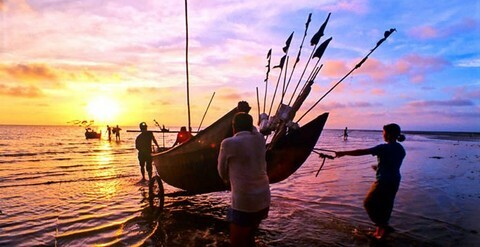 Instead you can enjoy fishing, acres of banana trees and cheap seafood and fruits. The island lies near the southern coastline of the Chinese mainland, and just east of Vietnam. 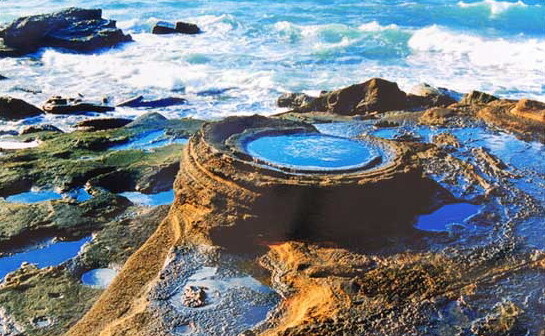 It is a volcanic island and is officially a part of the Guangxi Zhuang Autonomous Region. There is no airport, so you need to fly to the city of Beihai in Guangxi first. And if you travel during the low season, the tickets should cost no more than 1,500 yuan ($238) round trip for each person. Beihai itself is worth a look around and is famous for its late-night food markets. A highly recommended dish is chaoluo, or fried clams with salted bamboo shoots. It costs 15 yuan for a dish. We got up early the day after arriving in Beihai and bought tickets for the ship at the harbor. A speedboat takes 1 hour and costs 120 yuan in economy class and 150 yuan in first class. A slower boat takes around 2 hours and costs 120 yuan. You can also reserve tickets beforehand on taobao.com. Admission to the island costs 90 yuan. There is a choice of family hotels operated by locals, but very few larger establishments. Liu Quanliang, a fisherman, also runs a family hotel. We booked a room there the night before we arrived and Liu didn’t ask for pre-payment or a deposit. He was also our guide and driver for the five-day trip. Liu’s house is situated at the north part of the island, about 5 minutes’ walk from the beach. There are fewer tourist attractions on this side, with most located in the center and southern part of the island. After unpacking our bags, Liu’s wife prepared a quick lunch for us, and then we were off to the beach. The beach was deserted except for me and my companion. It is known as Shell Beach, because it is littered with shells once the tide has gone out. We collected some shells, and enjoyed the warm sunlight and the quietness of the sea for a few hours. In the afternoon, Liu took us around the island in a vehicle that resembled the kind of tuk-tuk (auto rickshaw) you might find in Thailand. We visited a Catholic church which was built by the French in the 1870s. The church is still in use and many of the locals are Catholic, including the Liu family. Around 4 pm, we visited a local food market to buy something for our dinner when most fishermen were just back from their day’s work. We saw many seafood items that were unfamiliar to us and were somewhat surprised to see horseshoe crabs on offer. The local government banned restaurants from selling horseshoe crabs in 2006 because they are officially a protected breed. However many fishermen still fish for this endangered species. We bought scallops, a grouper fish, sea urchins and some bananas. The scallops were only 4 yuan for 500 grams, and the sea urchins only 5 yuan. There are not too many late-night entertainment venues on the island, so we decided on a moonlit visit to the beach. It was incredible to look up into a clear sky and to see a panorama of stars. The island suffers very little light pollution. The next day we were up at 5 am catching crabs. As the tide was still out, we climbed onto the huge rocks in the sea, to begin scouring for the little creatures. We returned at 6 am with a bagful of the crustaceans and Liu’s wife prepared a pot of crab porridge for us. In the afternoon, we borrowed Liu’s scooter to explore the island for ourselves. We saw endless banana trees, and almost got lost in the forest in which they are planted. As we were determined to go fishing, and Liu was busy, he introduced us to another fisherman on our fourth day. My partner was a little worried because the boat was made of wood and was evidently rather old. Thankfully the fisherman provided us with life jackets. The fisherman brought the boat far from the shore, and gave us simple fishing lines. I was surprised to learn that rods or poles are not required. I caught six fish in two hours. The trip cost 150 yuan, and we were allowed to keep the fish. Liu charged us 50 yuan a night for a shared room, and a further 250 yuan for transport and his wife’s cooking services. The relatively low prices are due to the fact that the island is still relatively little-known among tourists, and there is limited commercial development. 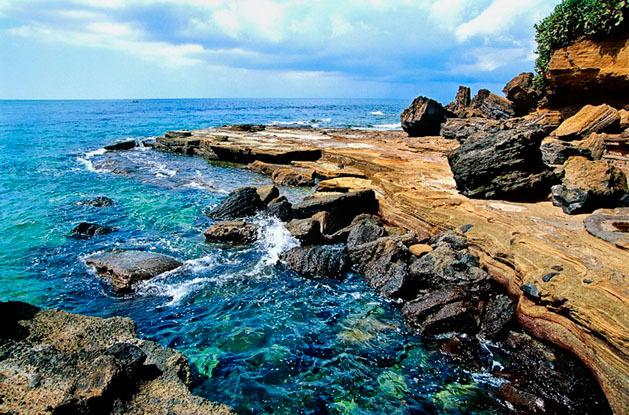 So catch Weizhou Island before it becomes the next hot destination!